As people with the disease of addiction we spend a lot of time changing and modifying our goals and dreams to accommodate our behavior. Recovery allows us to change and modify our behavior to accommodate our goals and our dreams. 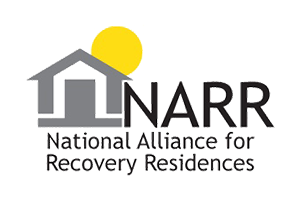 Our primary goal is to help residents focus on recovery as a way of life. Providing a safe and loving sober living environment where women will learn to cope without the use of drugs or alcohol. We operate on a sliding scale, and there is practically no-one we cannot help. Also providing limited scholarship programs based on situations and availability. 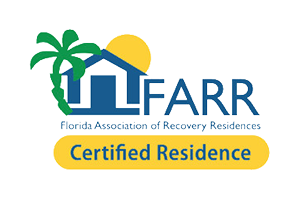 Residential sober living affords the individual time to develop the necessary skills to build a rich and full life. In this atmosphere of love and acceptance, the disease of addiction begins to lose its grip on your life. Freedom and a feeling of wholeness begin to transform your perception of yourself, and in leaving Dignity House you’ll know a feeling that your life has new purpose. We lovingly break through the barriers which keep you feeling alone and isolated. You will begin to develop the tools necessary to help begin your own journey through recovery. Our experience shows women grow profoundly in this atmosphere. The Halfway House for women, is proven to be a invaluable tool for women suffering from the disease of addiction. Our goal is to provide safe housing for all who need it, with the comforts of home, and a feeling of close-knit peer support. At our women’s sober living facilities, we wish to help women overcome their obsession with drugs and alcohol and return to society as productive members, being able to help themselves as well as others. Find out more about what we have to offer to you & your journey to recovery. “I cannot even put into a few paragraphs about how strongly I feel for Dignity House and what it has done for me. Words could never explain. I remember when I first came to Dignity House and how scared I was being that it was a new environment for me for I had been born and raised in Ohio and knew nothing besides that. However, I was able to adjust to the change fairly quickly because the atmosphere and energy was so pleasant from the start. It began to feel like my home away from home with the cozy atmosphere and the family energy created by the girls that were present at the house and the both of you. With such a pleasant environment, it allowed me to focus on my recovery from drugs and alcohol much easier. The treatment center I went to showed me how to put down the drugs and alcohol while Dignity House showed me how to live, function and become part of life without drugs and alcohol. With the structure and ruled in the house I was able to learn responsibility. I learned how to take care of myself. I learned how to be a good employee, daughter, sister and friend by learning how to mend those dear relationships that drugs and alcohol destroyed. I was able to learn how to play with others and form relationships with girls inside and outside the house that I can say are some of the best friendships that I have ever had in my life. I learned ho to manage my money without running a bank account into the ground like I did while using. I learned how to pay bills and make responsible money decisions, which was something that my parents always did for me in the past. I managed to make it through the twelve steps of Alcoholics Anonymous, which has gave me a strong connection with God today, an awareness about myself that I could never have obtained with drugs and alcohol in my life, as well as the ability to help other struggling addicts and alcoholics. I am able to help other women, especially, which is a key aspect to keeping my sobriety. By the time I moved out of Dignity House and into my own apartment, again something I had never accomplished in the past, I can honestly say that I became a woman that has dignity. My self-esteem and confidence is at one of its highest peaks and I love myself today. I am happy and very blessed and would not possess any of these qualities if I had never followed through with the decision to remain sober. I believe I never would have learned to remain sober if I never made the decision to be part of Dignity House. I am blessed. “When I got off the plane from New Jersey at the beginning of November 2010, I didn’t know what to expect. I had just left 20 days of residential drug treatment and had two bags and little else. One thing I was certain on was that I had no idea how to live clean and sober. Any semblance of dignity or respect for myself was long gone. I had been literally locked up for 20 days around the clock, which had put a very physical barrier between me and my ability to use drugs and alcohol. Upon reintroduction into the world, I was immediately petrified. I was greeted at the airport by Poe and one of her staff members. I remember feeling like I was a little kid again; scared and awkward. During my intake, the rules of Dignity House were explained to me, what was expected, and some suggestions that would help along the way. The initial thought of living with other girls seemed like it would be high school all over again. What I quickly realized was that all of these girls were just like me. We were all afraid, slightly scarred and alone on this new journey. What grew up around me at Dignity House was a live-in support group. We became family. I learned how to do things I had never done in my life, like make my bed every morning, clean my room, and complete chores. The meetings that we were required to attend every week allowed me to form a support system outside of the house as well. I quickly obtained a sponsor and large group of women in the rooms of AA that helped me walk through my early recovery. As suggested by Dignity House and my sponsor, I worked the steps as they are laid out in the book of Alcoholics Anonymous. Somewhere along the way, I began to see a change in myself. I was gaining self-esteem and confidence, and the groundwork was being paved for a new way of life. My life today is incredible, and for me, I believe it started when I stepped off the plane and into the open arms of Randi and Poe at Dignity House. They are my first family in Florida. Two and a half years later, they are still where I go when I’ve had a tough day, when I need good advice, or a home cooked meal. I will be forever grateful to Dignity House. I walked in with my head down, a broken woman. I emerged with my head held high, full of more grace and dignity than I had ever possessed in my life. “When I came to Florida for treatment I expected I would stay for 30 days and return home immediately after. Instead, while in treatment it was suggested to me that I stay away from the people, places and things I associated with in my disease and stay in a halfway house for a few months. After touring a few different halfway houses, I found that Dignity House felt the most like a home, which was important to me because I was moving so far away from everything I knew. When I moved in to Dignity House I was incredibly fragile. I was almost thirty and knew very little about myself because I had spent so much of my adult life under the influence. 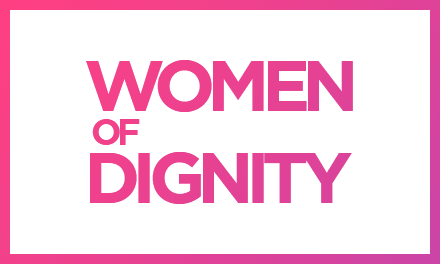 Randi and Poe and the other women of Dignity helped me find a sense of comfort that made me feel prepared to face the world. The structure that I was given at Dignity was truly a blessing. Being held accountable for the first time in a long time helped me to not only do the right thing, but also built my self esteem as I realized that I was capable of being a responsible adult. I became engulfed in Alcoholics Anonymous and began living my life by a set of principles that would set me up for success. In my five months at Dignity, I was able to begin working full time, build a strong group of sober supports and prepare myself to move out into the world. I now have more in my life than I ever could have dreamed of when I was in treatment and so much of it I owe to my time at Dignity House. Early in recovery, I was asked what kind of woman I wanted to be and my answer was “a woman of dignity and grace”. “I cannot express through words my deep gratitude for Dignity House. Dignity House saved my life and helped me to rebuild a life here in Florida. I felt so lost and scared after the doors of treatment closed behind me. But Randi, Poe and all of the residents were so welcoming as I moved into Dignity House, my new home. Dignity House was just that to me, a home. I don’t believe I’d be sober today if it were not for you, the house, and the rules of Dignity House. Within two weeks of moving in, I had to find a job, a sponsor and go to at least five, 12 step meetings a week. Dignity really threw me into recovery and got me involved. I became involved in the house and in service. Above all that, I had a house full of amazing women supports and friends. After my first month of living there I really felt that I had a solid foundation. I felt safe, and for the first time in a long time, I was happy. It was suggested by my sponsor and my supports that I stay there for a year, and it was the best decision I have ever made. I learned so much. I learned to take care of myself and to clean up after myself. I learned how to pay bills, pay my own rent, and earn back the things that I had lost in my addiction by being responsible and doing the next right thing. I learned to form relationships with women. I learned to share. I developed compassion and I cared for others. I also learned to ask for help, and help was always given to me. Always. “There are no words to adequately express my gratitude to you for thanking me into Dignity House at what was obviously a very low point in my life. But I know that words – however heartfelt – do not carry the impact of actions. How many times have I sincerely said to loved ones “I’m sorry” after a relapse or false step, only to repeat my self-destructive actions despite the burden of my remorse. Embarrassment, shame and despair have long been the constant companions I have tried to shake off through overachieving or people-pleasing behavior. But when this leg of my journey began on November 10, I vowed to do things different, to break away from instinctive patterns of behavior that have not served me well in the past. The external results of this process may be imperceptible, but the bottom line is what counts – I am living a sober life since I came to live here. I don’t want to be gushy here (lest you think I am again people-pleasing, or worse sucking up to you), but I do want you to know that my gratitude and admiration of you knows no bounds. I take to heart the messages I hear from you – even when they sting. I am trying to model my actions by the example you have shown. 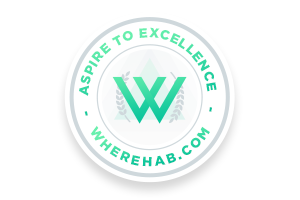 The sacrifice and care you have devoted to making this house so special and assisting all of us achieve sobriety, as well as dignity, are ever-present. I will continue to try with every fiber of my being to go any lengths necessary to lead a sober life. Thank you again for all that you have done for me. “I just want to let you know how much it means to me to be a client at Dignity House. I have struggled for many years with the disease of addiction, unfortunately i have been in several halfway houses in my attempts to get clean and sober. Never in my life have i felt comfortable and at home like i do at Dignity. I have tried many times to feel at home in many different places and nowhere comes close to the warmth, love and acceptance you give to the girls at your house. Not only are the houses very welcoming but they also are absolutely beautiful inside and out. The two of you definitely go out of your way to make us comfortable, happy and feel very loved. I consider the two of you family. I lived in your house last year for about 5 months, somewhere in that time i decided i was not ready to be sober. In my attempts to leave Poe yourself and another client tried extremely hard to convince me it wasn't any better out there and that you would be heart broken if i left. I left anyway and in the 5 months i was gone i missed you and the girls in the house more then i missed my own family. I came back a few months later lost, broken and ashamed. 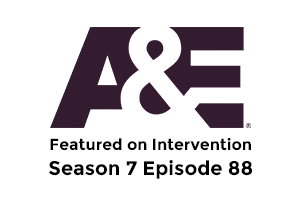 “I went to treatment for my drug and alcohol addiction for the first time in June of 2012. When I completed treatment I had absolutely no idea what I was supposed to do next to continue on my road to recovery. I knew what I was supposed to do in theory, but putting that knowledge into action was a totally different story. When I selected a halfway house to go to I didn't know anything about what a halfway house was, or even why I needed to go to one. It was 100 percent luck that I ended up a Dignity house, and I cant be more grateful that I did. The staff is very caring and understanding and it is an amazing environment for women in early recovery. “The impact you two have made on my life is monumental. I came to dignity house with a lost broken soul, and thought I would never be able to live my life sober. I spent 13 months rebuilding my life and became an upstanding citizen. I needed structure and rules in my life and Dignity House definitely showed me a better way to live. I still make my bed every morning and always clean up after my self! I learned how to reach out to other women. You taught me that my life is valuable and by working the 12 steps of AA/NA I will become a better person. Today I honestly love who I am, and my self esteem has improved immensely. I’ve made many friends along the way, and have even started a family of my own. I am forever grateful that Dignity House and the program has showed me that there is another way to live free from drugs and alcohol. I am able to share my courage, strength, and hope with other addicts and alcoholics because my life is worth living. I consider you two my family, and I know that you will be life long friends. “The place dignity house has in my heart is indescribable. When I began my journey I fought the idea of being in a halfway house, not knowing that it would change my entire life. When I met Randi and toured dignity house I felt sense of ease and comfort. I moved in and struggled I had to learn how to be an adult. That I learned, along with lessons in living a sober life. How to have people care about you and truly care back. I learned in my time here that anything worth having takes work but the end result is worth every bit of work that goes in to whatever it may be. Ultimately, working at staying sober is number one. When I thought no one else knew how I felt I realized I was not alone and dignity house was the foundation and the rock of my recovery. An amazing transformation took place in me while living at dignity house; I grew up and did things that I thought were impossible. Living at dignity house has given me lifelong friends and has been the strong foundation which me recovery rests on. Miracles do happen and I am eternally grateful that you believed in me when was not capable in believing in myself. I am truly blessed to be a part of the dignity family. “I cannot begin to thank you guys for everything you’ve done for me. Not only have guys been there for me in my sobriety but you are always going above and beyond to make sure that I am okay emotionally and in all other areas of my life. I have been trying to change my life for awhile now and I’m so thankful that I have two people that care so much for me and are willing to do what it takes to make sure I am okay.